JC Stylles Quintet feat. Steve Nelson "Hittin' the Hutch"
A native of Cambridge, OH, and a student of such prestigious programs as the Columbus Youth Jazz Orchestra and the Michigan State University Jazz Studies Program, where he studied under Rodney Whitaker. He has worked with notable bandleaders Johnny O’Neal, Wessell Anderson, Willie Jones III, Philip and Winard Harper, Christian Howes, Houston Person, Wynton Marsalis, Tia Fuller, Bria Skonberg, as well as many others in New York and throughout the Midwest. He is active nationally as a bandleader and educator, and has worked with programs including Jazz at Lincoln Center’s Jazz for Young People, Christian Howes’ Creative Strings Workshop, and Keith Hall's Summer Drum Intensive. He is also the director of the Midwestern arts initiative Appalachian Muse. "George DeLancey understands the entire scope and history of the bass, his playing reflects this and looks towards the future. 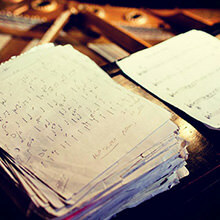 As a composer, he is without a doubt, one of the most creative melodists of his generation." "Deploying exceptional players, DeLancey nevertheless commands the forefront; he's the driver here, pushing tunes... with zest and an unerring sense of drama. His solos are crystalline, his placement precise." "His command of the elements in harmony, melody, and rhythm is superb, and displays a sophisticated sense of swing, coupled with maturity in composition and arrangements." 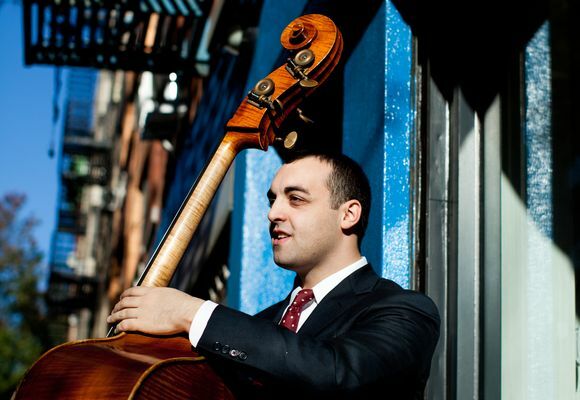 "Bassist George DeLancey boasts a lithe touch and a beautiful tone, but so do many of his peers on the New York City jazz scene. What sets DeLancey apart is his sophisticated composing and arranging... DeLancey paints vignettes that evoke the vibrancy of New York City at every turn." "The quality is high caliber, rooted in the post-bop lineage of Art Blakey’s Jazz Messengers: well-written riffs, interlocking ensemble parts and blistering, thrill-ride solos. Although he’s dedicated to swinging, that hardly means DeLancey is a conservative-minded player." "It’s filled with modern but timeless post-bop compositions, indelible melodies, and excellent ensemble playing... top-notch modern jazz that swings."